The mini segment was the fastest growing – up 13% in Q1 2017. 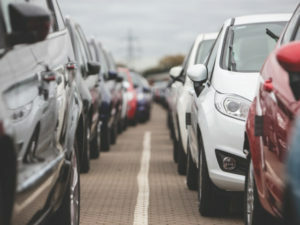 The number of used cars sold in the UK hit a new record in Q1 2017, the latest figures from the Society of Motor Manufacturers and Traders (SMMT) reveal. 2.1 million used cars were sold in the first three months of the year; a 3.4% rise on 2016 and the highest Q1 on record. Growth was seen across the diesel, petrol and electric/hybrid segments, which were up 5.6%, 1.6% and 43.2% respectively. The supermini segment continued to be the most popular, accounting for 33% of the used car market. However, the mini segment was the fastest growing – with sales up 13%. White cars saw the biggest growth, up 17.1%, with used car sales echoing trends seen in the new car market in recent years. Although silver remained the best-selling colour at 463,959 sales, figures show its popularity may be fading with sales declining -2.1%. According to a recent survey by Goodyear Tyres, drivers prioritise safety as the most important reason to have a connectivity or infotainment feature installed on their car. Participants were asked to rank a series of factors by order of importance as to why they would specify a feature on their vehicle. Safety was the most popular reason, with 36% of respondents ranking it in first position. Practicality ranked second highest, at 34%, whilst the way the car looks was selected by just 2% of drivers. When asked to rank popular features in order of importance, 13% chose a sat nav, 4% opted for cruise control and autonomous capability, and 9% selected a Bluetooth device. 52% of drivers surveyed did not know what an emergency refuge area was. Image: Highways England. Millions of motorists are unsure about what to do in the event of an emergency on a smart motorway, research conducted by RAC suggests. 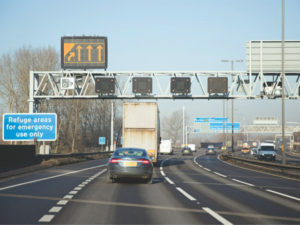 52% of drivers surveyed did not know what an emergency refuge area on a smart motorway was, or that they should be using them in the absence of a hard shoulder. There was also considerable confusion about how to use the refuge areas, with 64% not knowing what to do after stopping. While 65% were uncertain about how to re-join the motorway. And, of the 2% who had used an emergency refuge area, only one respondent knew that they should contact Highways England to facilitate their getting back on to the motorway. The number of motoring fines incurred by fleet drivers rose by more than a fifth in 2016, according to a study by leasing specialist Lex Autolease. The research, compiled from 353,000 vehicles in the UK, shows that fleet drivers racked up a £14m bill last year, 26% up on 2015. The rise was attributed largely to a clampdown on bus lane infringements (+37% rise in convictions), and illegal parking (+34%). Earlier this year, BBC England research found almost 4,000 motorists a day are fined for driving in bus lanes. Lex added that increasing numbers of receipts for the Dart Charge saw collections rise 55% year-on year, costing UK firms £736,244 in the 12 months to December.